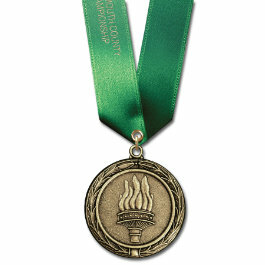 In travelling to trade shows and speaking with our customers, I have often seen people admire our medal display and then remark “but I don’t have a budget for medals.” When I go over the pricing of our medal selection, they are often surprised to find out that we have many budget-friendly options. 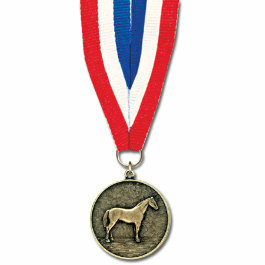 Especially at this time of year, with our Winter Sale, we really do have a medal for every budget. 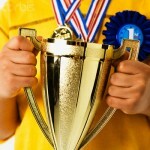 Our most cost-conscious option is the CX Medal on a grosgrain neck ribbon. The regular price of 75 cents each applies to any quantity, and that is without the 10% Winter Sale discount. For a larger (1-1/2″) coin, many people choose the LX medal for $1.25, or 99 cents if you purchase 500. Again, these prices are without the 10% discount. For those customers that need to customize each medal, the most cost-effective way to do so is with custom printing on a satin neck ribbon. Using any of our 31 colors (the same as we use for our ribbons and rosettes), your custom printing is included in the medal cost (a $10 setup applies for under 25 neck ribbons). 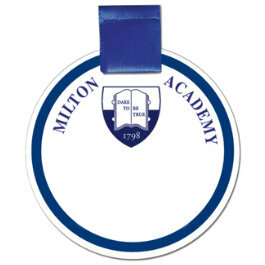 For a completely customized medal center, our metallic inserts on an 1-3/4″ LBX Medal are just $1.35 on a grosgrain neck ribbon (qty. less than 500). Using a full color center (great for multicolor logos) adds just 15 cents to the price. Of course, we offer a much wider selection than some of the options I’ve just highlighted here in this post. Be sure to browse online or request a catalog to check out our full range of options. Have you ordered medals? Any tips for those on a budget? Let us know in the comments. While Hodges Badge has long been associated with award ribbons, and more recently with other types of awards and trophies, we wanted to let you know that we can also help out when you are planning a meeting or reunion. Need name tags but don’t want “Hello my name is” stickers? Try our custom printed stick-on tags. For a nicer touch, our pin on name tags match a color in your logo with a ribbon at the top. We also have stock ID ribbons for traditional responsibilities (Board Member, Sponsor, Official, Speaker, Volunteer etc.) 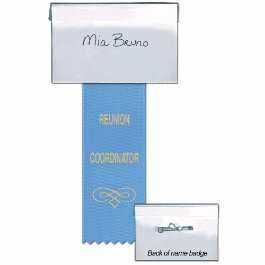 and both horizontal and vertical tape top ribbons you can use to attach to name badges. Buttons are also popular at reunions, and you can even put individual names and photos on them for no extra charge. Turn them into a keychain and they’re a simple souvenir. Lastly, our banners can be hung indoors or out to let everyone know about your event. Have you ever used our products for anything besides a horse show, dog show, fair, or athletic competition? How did it turn out? Let us know in the comments!